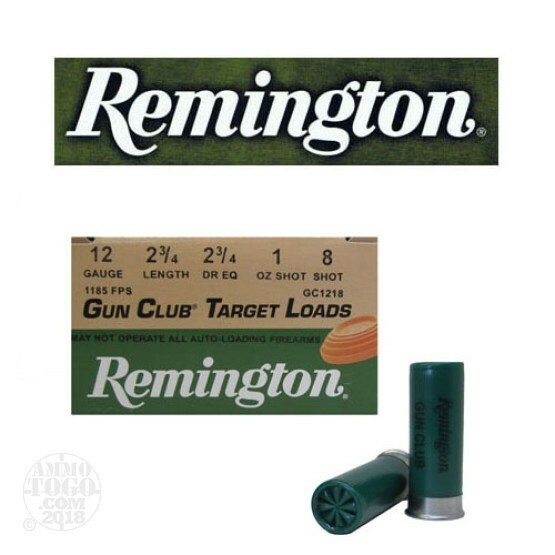 This is 12 Gauge Remington Gun Club 2 3/4" 2 3/4dr. 1oz. #8 Shot Ammo. This is an economical target load and is loaded with a Power Piston Wad and STS primers. This ammo has a muzzle velocity of 1185fps. and comes packed in 25rds. per box.